We want to keep you in the loop, so we are updating this post as things evolve with Facebook and Instagram and new information becomes available. 1. You will not see user data at large when tracking hashtags on Instagram. However, you can add filters to specify which Instagram Business users you’d like to get posts from, and get much more in-depth data about those users. Here’s how to add these Instagram account filters. 2. 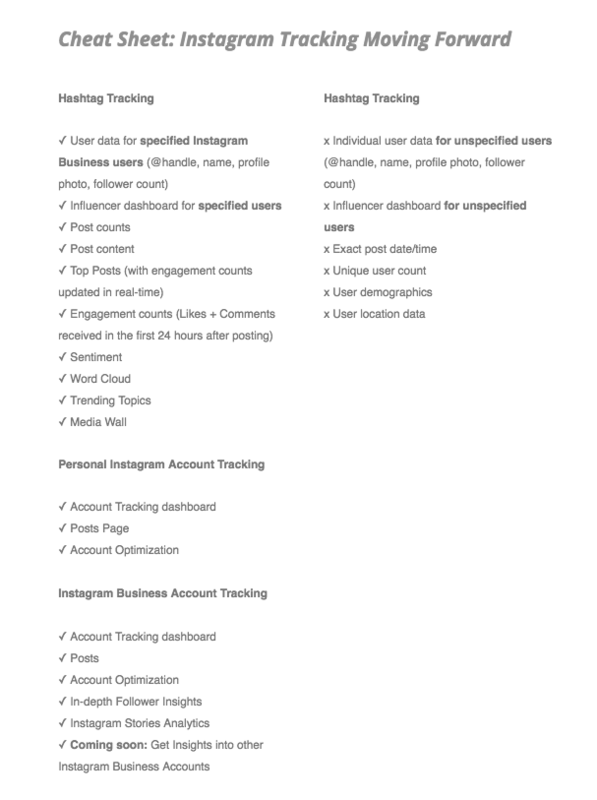 Instagram Business Account tracking is here, and it gives you even more powerful insights than Personal Instagram account tracking does. Read on to learn more. All unspecified user data has been removed from Instagram Hashtag Tracking. This means you will now see overall post counts and post analysis data, but won’t be able to directly identify the users behind posts. On the bright side: If you’re interested in seeing how specific users are contributing to a conversation or campaign, you can specify that you’d like to fetch posts from those accounts. Plus, in so doing you’ll be getting more in-depth data about those users, like real-time follower counts, profile pictures, and more. 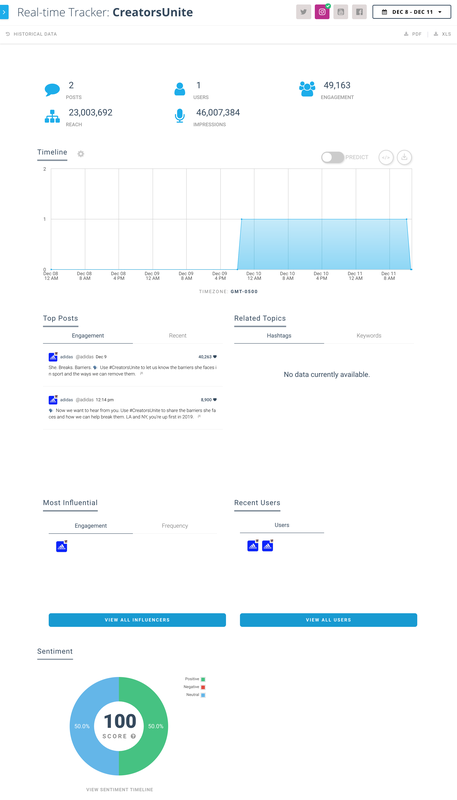 Personal Instagram Account Tracking will continue to be available on Keyhole as always, and much more robust Instagram Business Account tracking has been added as well. 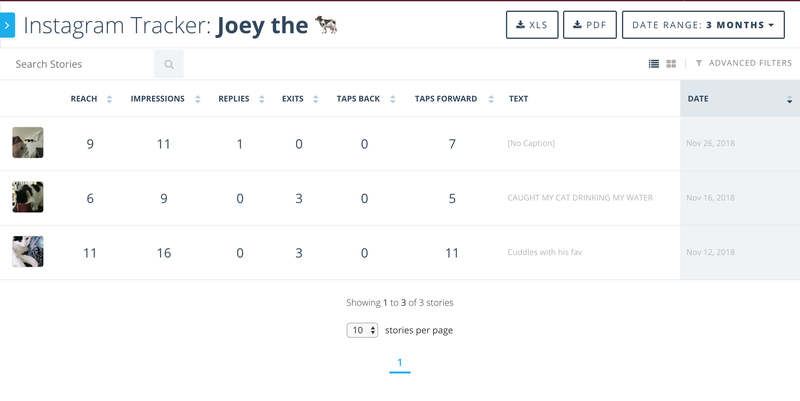 To be able to get in-depth follower insights, as well as Instagram Stories insights, you can switch your trackers to Instagram Business trackers. Switching your Instagram Accounts over to Instagram Business has its perks! 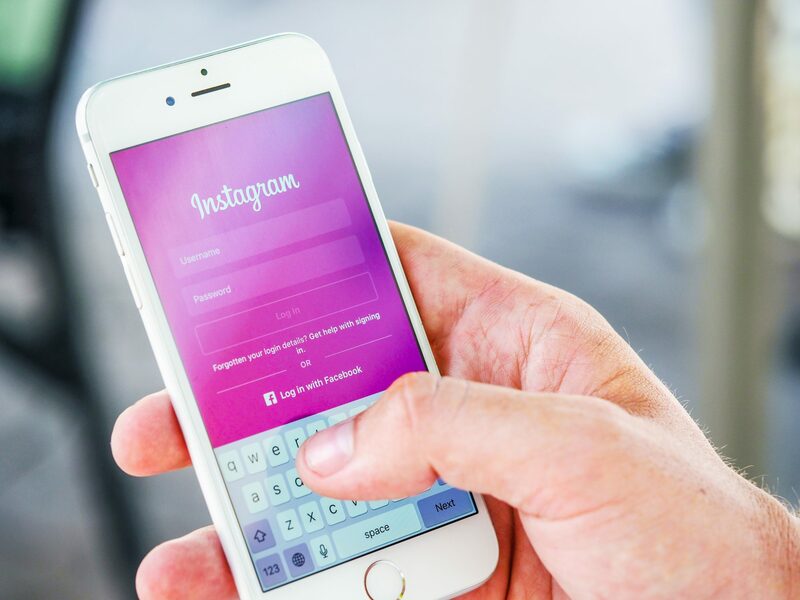 By authenticating your Instagram Business Accounts, you will get access to in-depth Follower Insights and demographic information about all of your followers, like Age, Gender, and detailed location data. That’s right. By authenticating your Instagram Business Accounts on Keyhole you gain access to insights about all your Instagram stories. How do I access Instagram Stories? In the near future, you will be able to track your competitors and any other Instagram Business account through Keyhole. 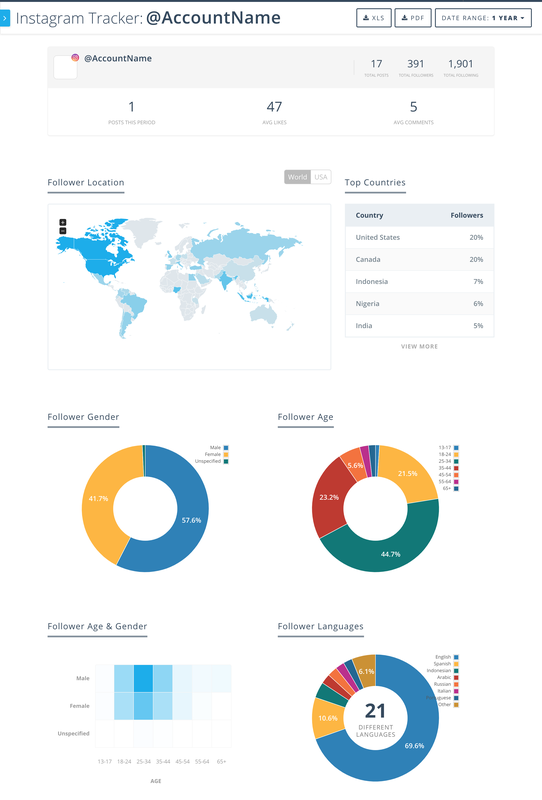 Unauthenticated accounts don’t reveal follower information, but they do give you great insights like their engagement rate, top posts from the account, follower growth over time and more. We will keep you posted on this new feature. 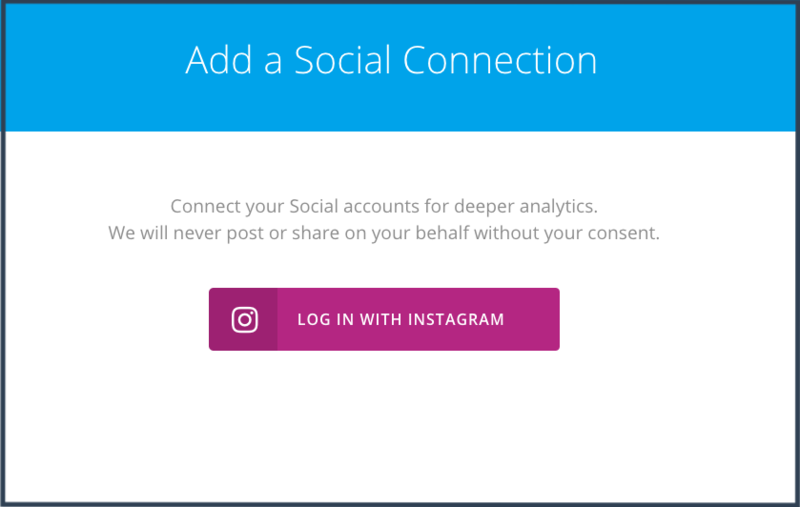 As of April 4th, Instagram put some API changes into effect that change the way we (and all other partners) access user data. Some of these changes will impact Keyhole functionality. Your existing content (pre-April 4th) is unaffected by these changes. Twitter, Youtube, and Facebook functionality are unaffected, meaning there are full tracking and social listening capabilities for public posts on these platforms through Keyhole as always. Instagram Account Tracking still works for any authenticated account (i.e. any account that you have login credentials for), though you won’t be able to see Follower Insights or Follower Lists for these accounts anymore because they are no longer exposed in their API. Plus: thanks to the incredible efforts of our developers ?, you can now easily ask your clients and influencers to authenticate their accounts through a custom link to gain access to their data. You will have data on the number of post likes for any posts in your authenticated account, as well as data on account growth. Instagram Account tracking is disabled for all accounts that are not authenticated. All posts will display the poster’s @username but not their full name, profile picture, or follower data. Reach & impressions will not be calculated for Instagram posts past April 4th due to restrictions on follower data. We are working to see what we can continue to offer through our Instagram influencer page and will update this post with new information. 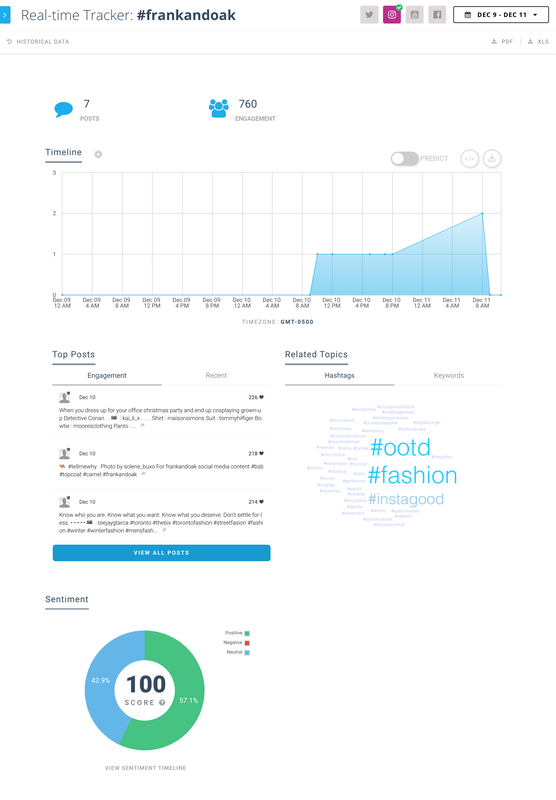 The Posts, Media, Trending Topics and Sentiment pages still work as usual. Our Stance: We fully support Facebook’s efforts (and Instagram’s by extension) to protect the privacy and security of their users and we want to make sure we help you figure out how to handle these changes in your Instagram strategy. Our full team is working hard to continue to be the best solution possible for social media tracking and insights moving forward, and we are in ongoing conversation with Instagram to do so. As always, we are here to help! If you have questions, please email us at success@keyhole.co.